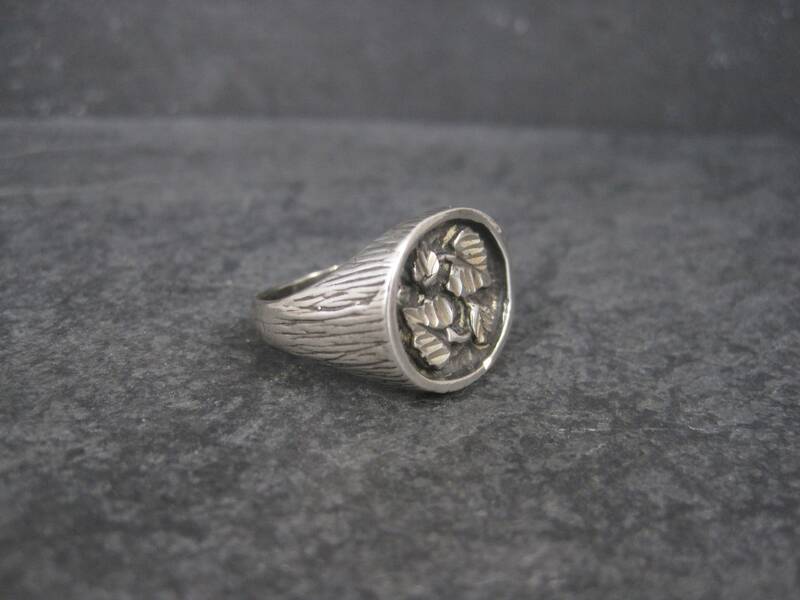 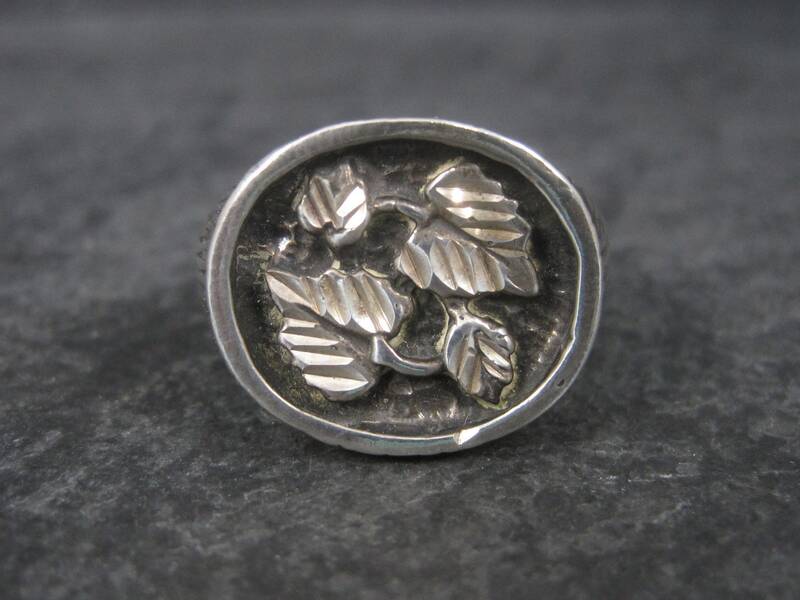 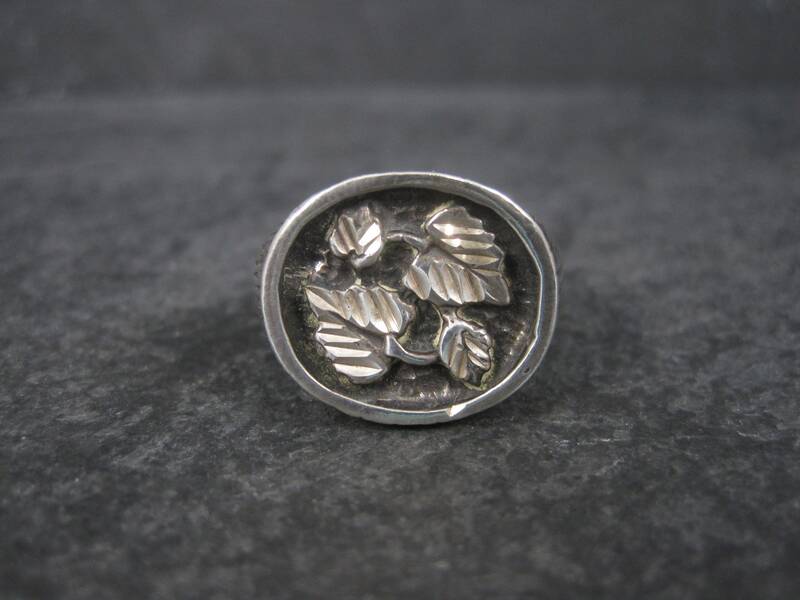 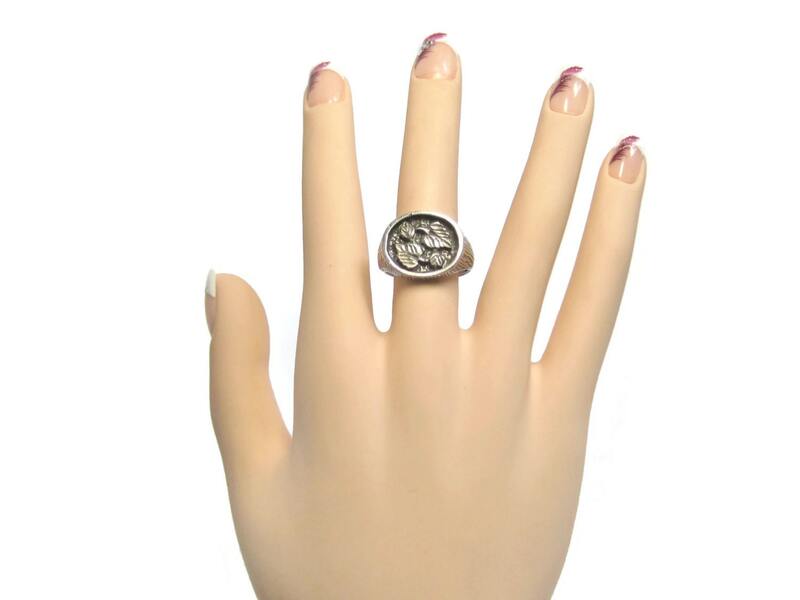 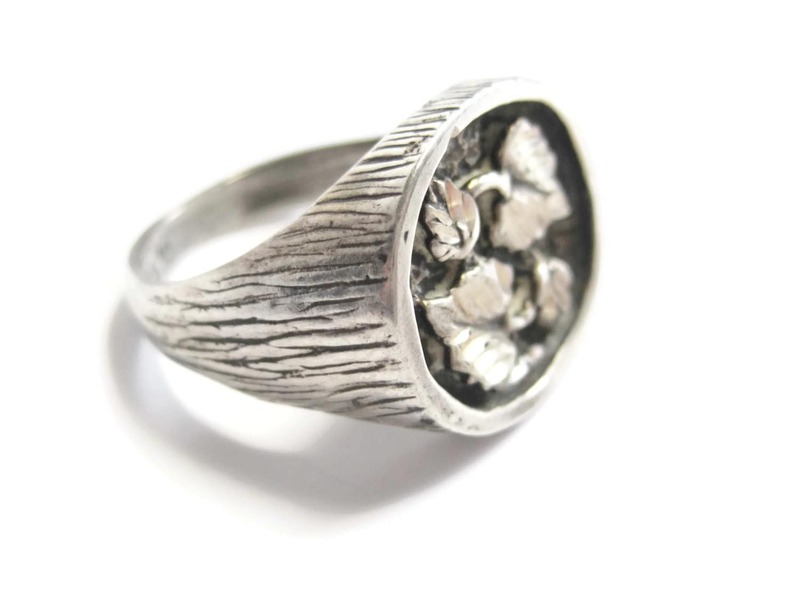 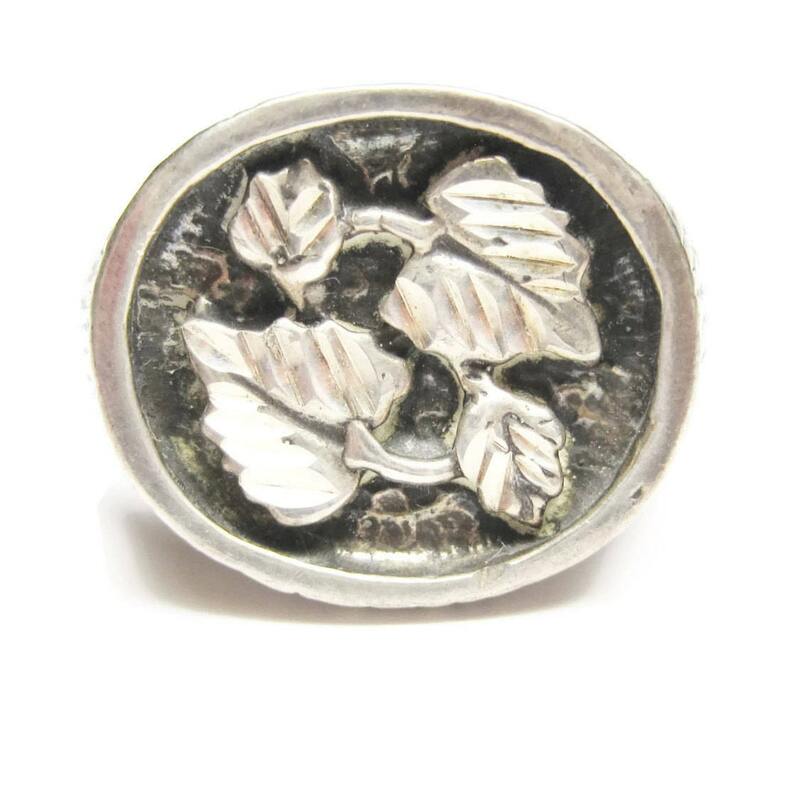 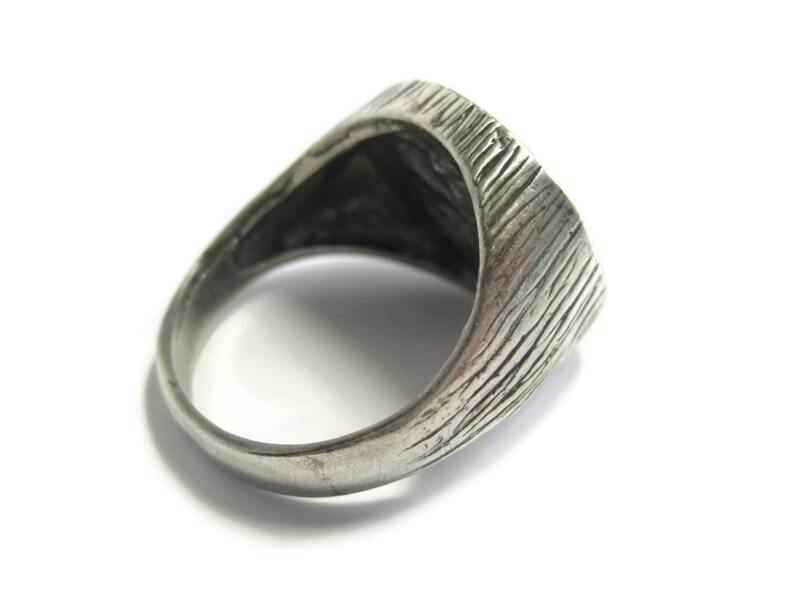 This beautiful semi-vintage ring features a black hills silver leaf design on the top. 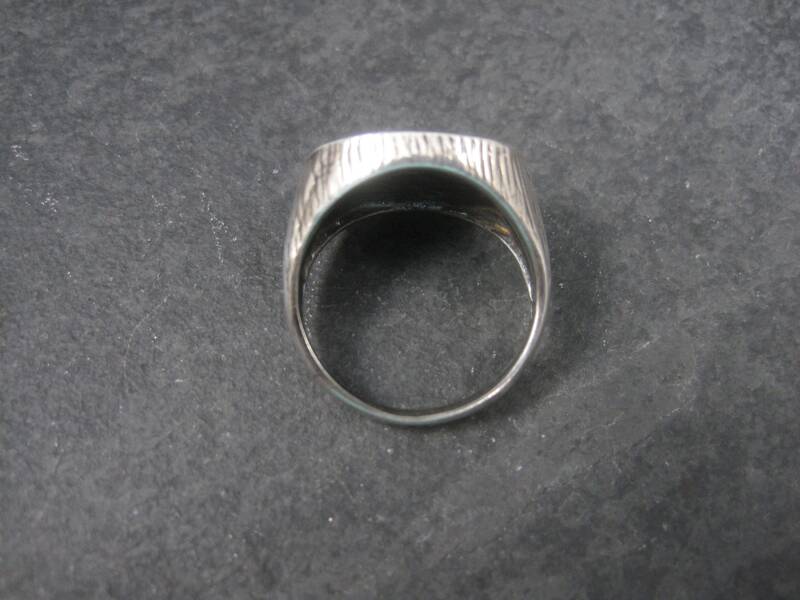 The face of the ring measures 15.8 mm north to south. 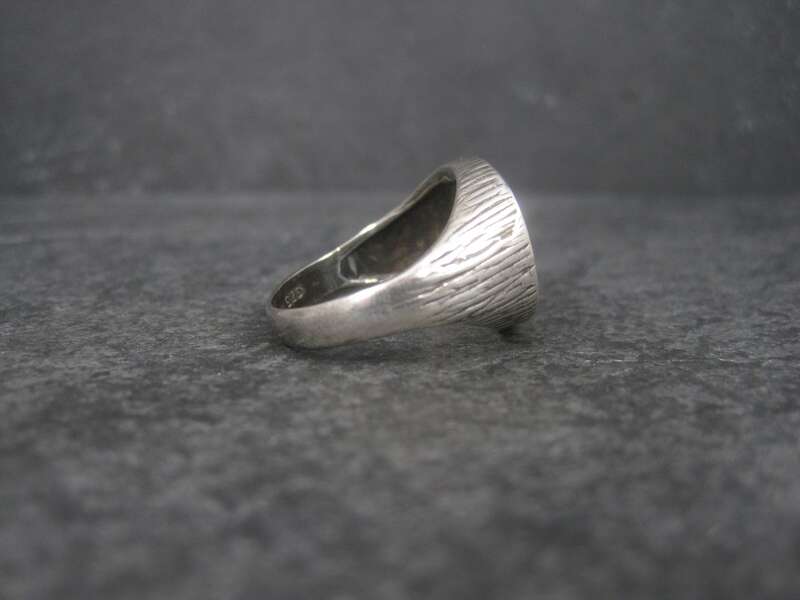 It is a size 8. 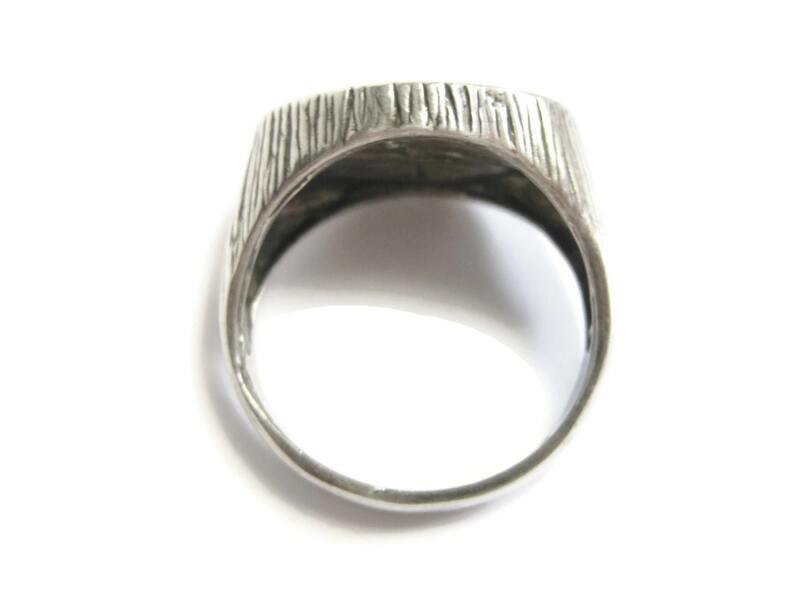 The ring is in great condition.